Good writers can take a subject you weren’t previously interested in and not only entertain you while talking about it, but also make you want to know more. Such is the case with coal. It’s black. You burn it. Santa leaves you lumps of the stuff if you’ve been naughty. What more do you need—or more importantly, want—to know? 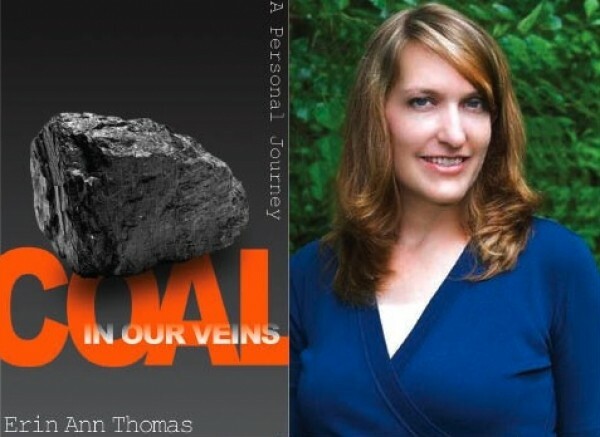 Plenty, it turns out, under the guidance of Erin Ann Thomas in Coal in Our Veins: A Personal Journey, as she transforms lumps of coal into a page-turner. You get a sense of what’s in store right from the start as Thomas spends the first nine pages of the book describing an early 20th-century carbide miner’s lamp. It could be dull and technical, but Thomas is able to weave the description in with the theme of her book and nearly 200 years of family history. Thomas can’t forget, because for her, this isn’t just an issue of energy and the environment. It’s her family history, stretching back to 19th-century Wales, where her ancestors worked under horrendous conditions in the mines. They immigrated to America with big dreams, only to find themselves back underground in the mines of eastern Utah, where they were faced with two of the worst mining tragedies in American history. Thomas’ grandfather, Robert K. Thomas, worked his way out of the mines to become a BYU professor and eventually became president of the College of Eastern Utah, setting a future course for his family that would allow his granddaughter to have opportunities her ancestors never could have imagined, yet still feel a connection to those ancestors through coal. Thomas does a masterful job of mixing stories about people’s lives with statistics and discussions of government policies; she proves to be adept at family history, research, journalism and personal memoir. In a way, she has tried to weave together about five different books here—and she pulls it off, going from Wales to Utah to West Virginia to Washington, D.C. Besides simply providing plenty of information, she also ties it into personal stories ranging from how her great-great grandfather, Evan Thomas, must have felt in Wales in 1854, when, as a 5-year-old, he rode piggyback on his father down into a mine shaft to help extract coal, to the author’s own asthma flare-ups when living near a coal-burning plant in the 21st century. She interviews bereaved families after a mine disaster, as well as coal-company publicists and protesters; she tours her fair share of underground tunnels.